Thank you to Tundra Books for these beautiful review copies! Inspired by L.M. Montgomery’s Anne of Green Gables series, Tundra Books adds two new adorable board books to their Anne series. Fans of Anne of Green Gables will delight in the memorable moments captured in Anne’s Alphabet and Anne’s Feelings. For example, in Anne’s Alphabet, the reader is introduced to letters such as “K is for kindred spirit” and “M is for Matthew and Marilla”. Feelings such as “happy”, “scared” and “brave” are featured in Anne’s Feelings. The books are written and illustrated by Kelly Hill with charming illustrations that are a combination of sewing and embroidery. All four books are perfect gifts for any small child’s library! 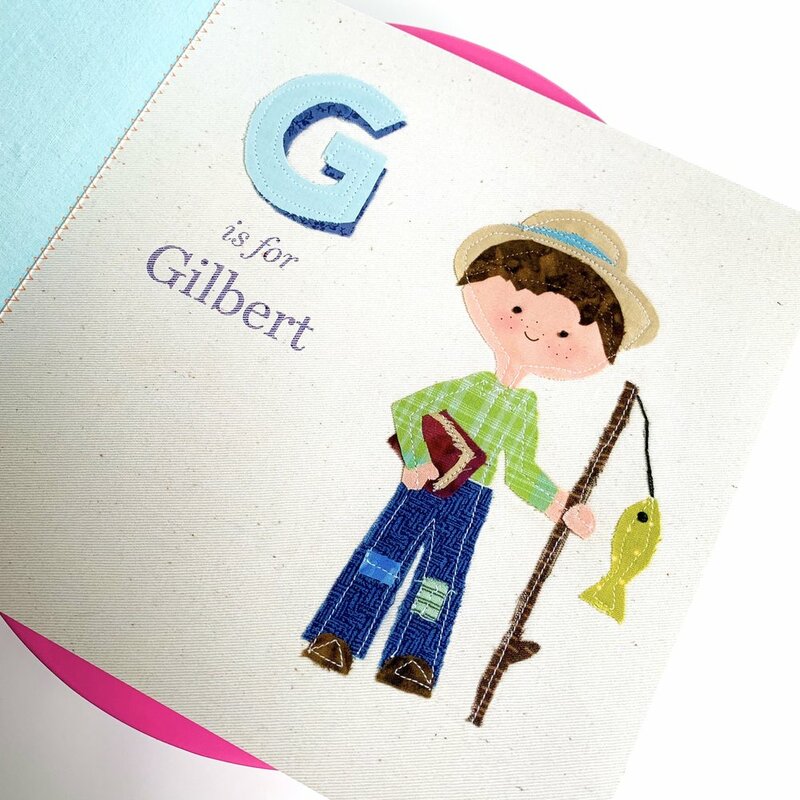 In Anne’s Alphabet, each page features a letter of the alphabet accompanied by an adorable illustration. An Anne-inspired book would not be complete without a reference to Gilbert! Kelly Hill’s illustrations have the feel of stitching and embroidery. Anne’s Feelings is a great way to teach your children how to share their feelings. The details of each page are just adorable! I love the bumble bee! 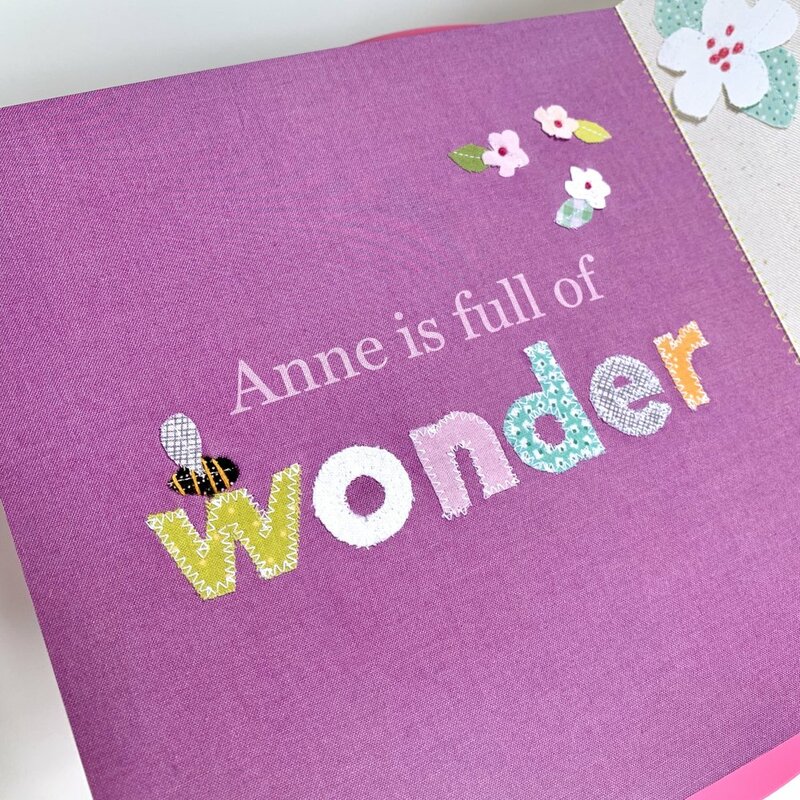 The feeling of wonder perfectly encapsulates Anne’s personality! Amor Towles’ mastery of the pen in ‘A Gentleman in Moscow’ proved to be a blessing and a curse. I unequivocally adore this book for reasons I will attempt to articulate in this review while I am simultaneously left with the feeling that my reading life is forever ruined because I’m unlikely to find another book that meets this standard. From incredible storytelling to unforgettable characters that are so well-developed that they move from a fictional form to a real-life presence, this book hits all the notes. Like a fine wine, I found myself savoring every line and passage in time from the first to the last page. The Count provided awareness, perspective and a charm so often absent in today’s culture. Alexander Ilyich Rostov will join my list of favorite fictional leading men. The rakish Rhett Butler and the high-brow Mr. Darcy (two of my favorites) could definitely learn a thing or two from the Count. Towles expertly incorporates themes of friendship, loyalty, adaptation, camaraderie, remembrances, the power of ideas/poetry/cinematography, the contribution of Russian literature/music/food, the importance of character, the challenges of the collective, the priceless love between a parent and child, sacrifice, tyranny, liberty, truth, lies, and making order of the little things. I loved the variety and depth of the relationships Towles created. I will miss my daily interactions with the Count, Sophia, Anna, Marina, Emile, Andrey and Audrius. My favorite take away from this book, however, is the importance of perspective. From the mundane to those moments of insurmountable obstacles, our perspective directs our experience. A positive perspective propels us to find the good in otherwise undesirable circumstances which results in a positive impact within our sphere. In an interview, Amor Towles describes this perspective as the “will to joy”. I whole heartedly recommend this book to all readers! I am looking forward to hearing Amor Towles speak on his book tour in San Francisco on June 4th! Have you read this lovely book? If so, I would love to hear your thoughts! Thank you to Tundra Books for this beautiful, complimentary review copy! Miss Mink is a cat Countess who turns to her happy, content cats to learn their lessons for living a purrrfectly satisfying life. This book offers twenty positive life lessons that are applicable to both children and adults alike. The lessons include: “make your goals bigger than your fears”, “chase your dreams”, “build strong friendships and you will always have the support you need” and “love others, but don’t forget to love yourself too”. The illustrations add a whimsical, creative and charming air to the story. Although this book is recommended by the publisher for kids 4-8 years old, Miss Mink: Life Lessons for a Cat Countess would be a wonderful addition to any cat-lover’s library! The hardbound cover beneath the dust jacket is beautiful! The cat print end papers are a purrrfect addition! The artwork is delightful and charming! I love Lesson 6: Make your goals bigger than your fears! The life lessons presented are great for children and adults alike! Thank you to Flatiron Books for this beautiful, complimentary review copy! For the photo, I tied this book in a bow but not the big, fluffy, glittery bows I prefer. I am hoping (much like the characters in the story) that my writing of this review will help me better understand why I have such mixed feelings about this book. I’ll begin my review with what I enjoyed about Anne Youngson’s epistolary novel, Meet Me at the Museum. First, I thought Anne’s writing was thought-provoking, reflective and authentic. I love her analogy of raspberry picking. She writes, “Whenever I pick raspberries, I go as carefully as possible down the row, looking for every ripe fruit. But however careful I am, when I turn round to go back the other way, I find fruit I had not seen approaching the plants from the opposite direction. Another life, I thought, might be like a second pass down the row of raspberry canes; there would be good things I had not come across in my first life, but I suspect I would find much of the fruit was already in my basket.” Our path in life is the result of the choices we have made. By choosing one direction we are in essence not selecting another. Our reflection (and that handy post- 20/20 vision), can be both celebratory and somber. This little book makes a big statement to live life with no regrets. The author also includes themes of self-reflection, loss, grief, second chances, remembrance, role fulfillment, self-discovery, friendship, being present in the moment and finding joy in the small things. So what is there not to love? The premise could be charming from a simplified description… Two strangers meet via letter writing and form a bond of friendship (which ultimately could lead to love)… however, the subject that brings them together is a dead, preserved ancient criminal with a noose around his neck? Every time the Tollund Man was mentioned (and physically described) I kept thinking that it felt like Indiana Jones and the Temple of Doom meets Kathleen Kelly in You’ve Got Mail? It just didn’t work for me. All-in-all, I will read Anne Youngson’s next novel. Her writing is lovely and her themes are heart-felt. How about you? Have you read Meet Me at the Museum? What are your thoughts on this book? If you are uncomfortable reading books that contain adultery, you may want to avoid reading this book. A wonderfully charming, rambling old inn adorned with unusual green stained glass windows, an unexplored attic filled with undiscovered treasures and a host of suspicious guests sets the stage for this cozy, middle grade mystery. If you enjoy atmospheric settings that correlate with your current season, this book would be a perfect match to read on a cold, wintery day. I do not want to spoil the story for you, so I will limit this review to the themes of the book. Kate Milford expertly incorporates themes of truth, lies, loyalty, mystery, thievery, vendettas, friendship, camaraderie, self-identification, the need to belong, anxiety, trust, competition, role playing and problem solving. One aspect of Greenglass House that I absolutely enjoyed was the relationship between Milo and his parents. Mr. and Mrs. Pine were always attentive, loving and encouraging to Milo while still providing the necessary space he needed to explore, uncover and investigate his feelings. I also appreciate the authenticity and honesty that Kate Milford brings to the subject of adoption as we, the reader, experience Milo’s apprehension combined with his need for discovery as he searches for an understanding of his place in both his family and the world. Don’t miss the author’s note at the end of the book which provides background information regarding Kate Milford’s personal connection to international adoption. Her thoughts and perspective are amazing! I am still processing the ending of this story which completely surprised me and caught me off-guard. In all honesty, I enjoyed the majority of this book, however, I have a few issues with elements in the ending. I do often find that my analysis of a book will change as I spend some time reflecting on it so I am curious where I will ultimately land on this one. How about you? Have you read Greenglass House? If so, what are your thoughts?